Yoooooooo….We’ll tell you what we want , what we really, really want. Yep, that is just the TNL gals chatting with none other than Scary Spice herself. No big deal. We had the opportunity to attend the screening of a movie called “The Twelve Trees of Christmas” at the North York Central Library. Mel B is one of the stars of the movie and she was there for a Q & A, as well as a meet and greet session with the lucky attendees. If you happen to live under a rock, Mel B is one of the judges on America’s Got Talent and a member of a little girl group you may have heard of called THE SPICE GIRLS. We arrived at the library with our friends about an hour before the event. Well worth it , as we snagged front row seats for the screening and Q&A. So close! When Mel B arrived, we couldn’t stop gawking. First off, she is gorgeous. Aside from being beautiful, she was also very likable, speaking candidly with the audience, she was friendly and funny. The interview was conducted by a Toronto Public Library librarian, Ellen. Holding the event at the library was a very cool tie-in since the library is a huge theme in “The Twelve Trees of Christmas” movie. Ellen asked Mel B if any books stood out as favourites from her childhood. Although she could not think of a specific title, Mel B said that she really liked fairy tales, as her life has been a bit of a fairy tale. She also shared her holiday plans and the fact that she would always be on board for another Spice Girls reunion! When Ellen was receiving a wrap up cue, Mel B wanted to continue, and suggested taking some questions from the audience. She was really generous with her time, and it was much appreciated. Even when that was done, she seemed to want to stay longer. Then Mel B was whisked away and we were shown “The Twelve Trees of Christmas”. The Lifetime movie is a fun, light Christmas flick. If you like Christmas rom-coms then this one is for you. Librarian Cheri Jamison rallied the residents of her beloved Manhattan neighbourhood to participate in a Christmas tree contest when her cherished local library is abruptly set for demolition. Cheri finds herself up against an ambitious developer Tony Shaughnessy, who hires Cordelia, a professional decorator, to win the contest for him. The competition is on, but as Cheri works to save the library she discovers that Tony is more than the heartless man that she thought. Will her dedication to the beloved library drive Tony away..and with it a chance at true love? Mel B plays Cordelia in the movie and she said that getting to pretend to be mean was her favourite part. Fun fact – although the movie takes place in the snowy Christmas season, it was actually filmed in the hot Summer months. “The Twelve Trees of Christmas” airs Monday December 23rd on CTV. After the screening, we had the opportunity to take pictures with Mel B and get an autographed picture. She not only posed for a picture with us, but also chatted with us about the blog. So surreal! 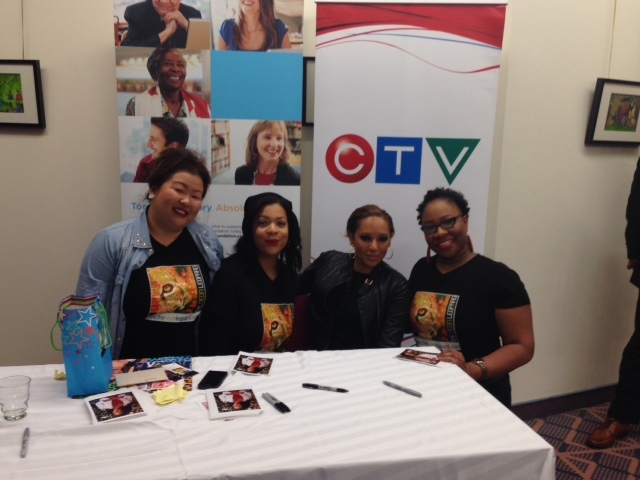 The Mel B event was amazing and we are so grateful that Toronto Public Library and CTV made it possible. We really, really, really wanna zigazig ah. Wow! It’s so nice to know that she was friendly and so down-to-earth. I wish I could have come too, it sounds like it was so much fun. 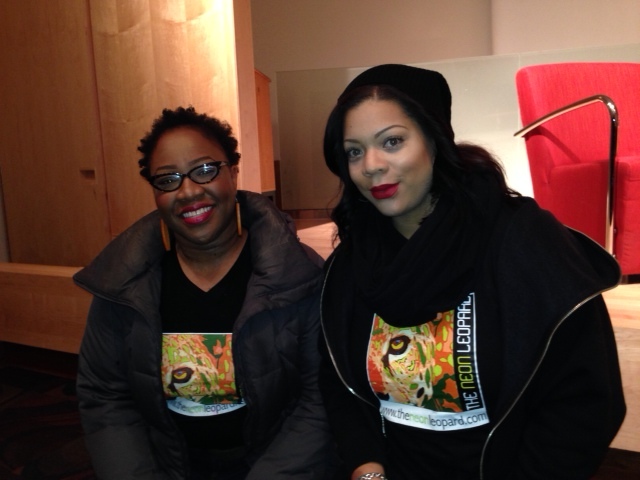 I’m so happy that you TNL ladies had a chance to meet her and chat about your blog too. She is really gorgeous – so glowy and fresh looking. What a wonderful day.. thank you for letting me be a part of the TNL team. I am very honoured! 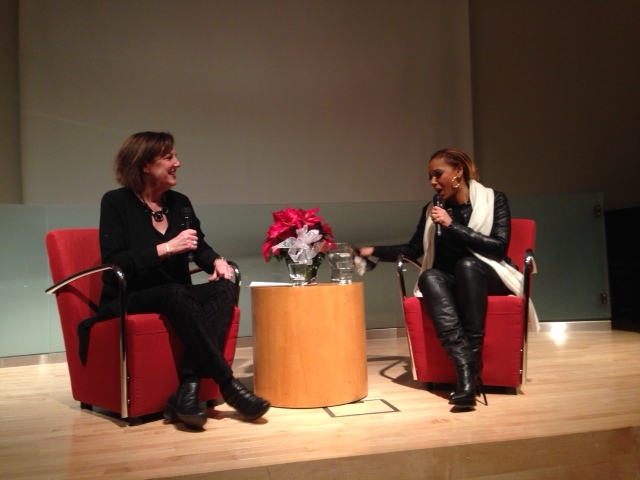 And it was just surreal meeting Mel B… big thanks to the Toronto Public Library!!! !